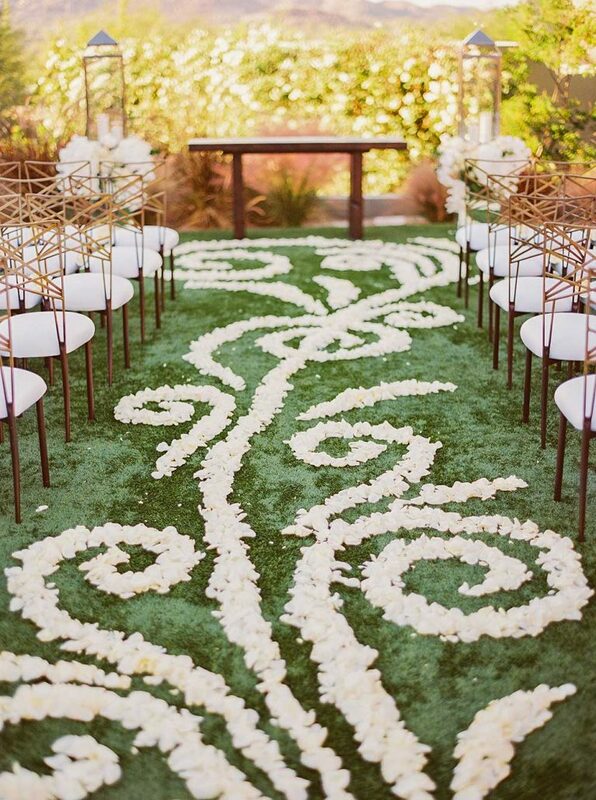 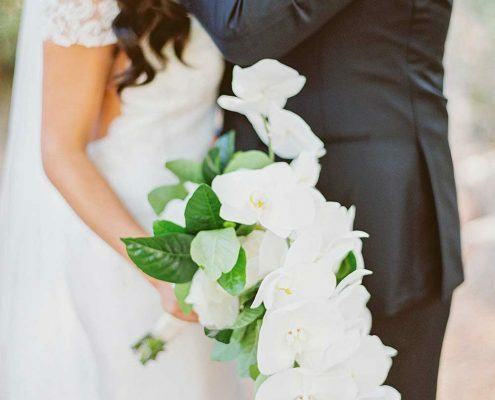 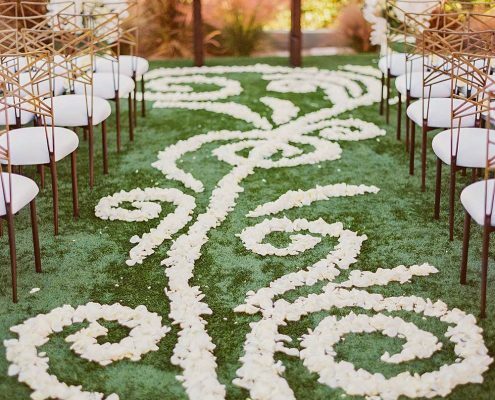 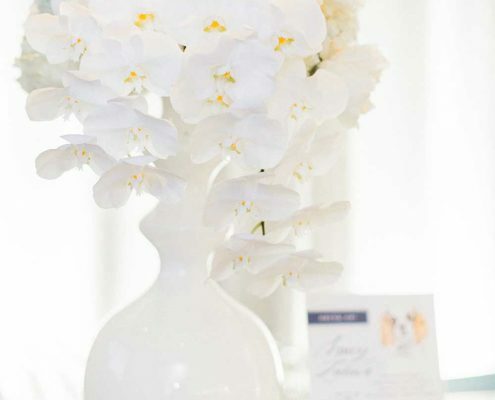 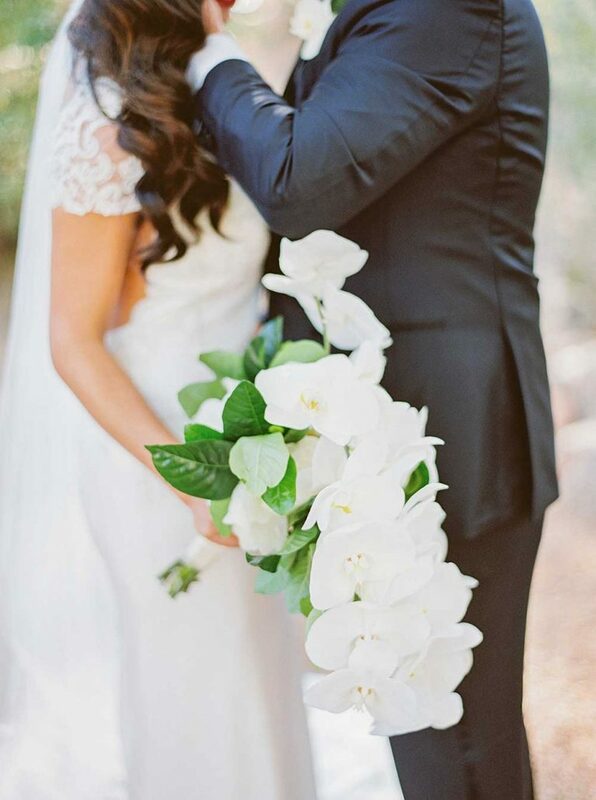 The Sanctuary atop Camelback Mountain back drops this exquisite wedding. 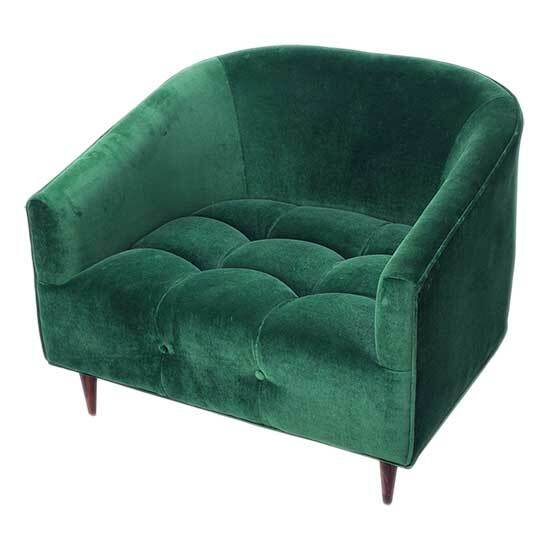 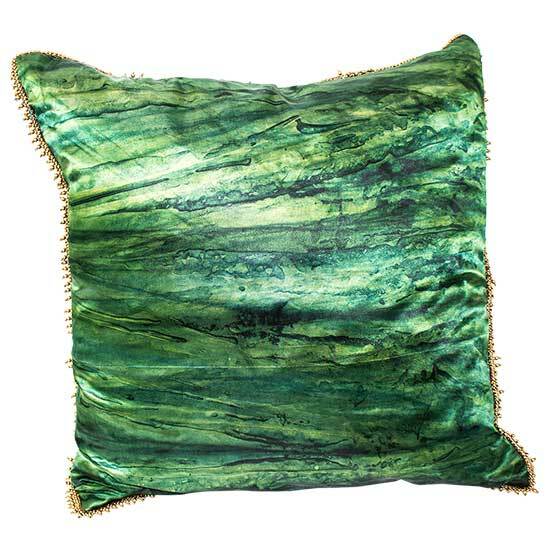 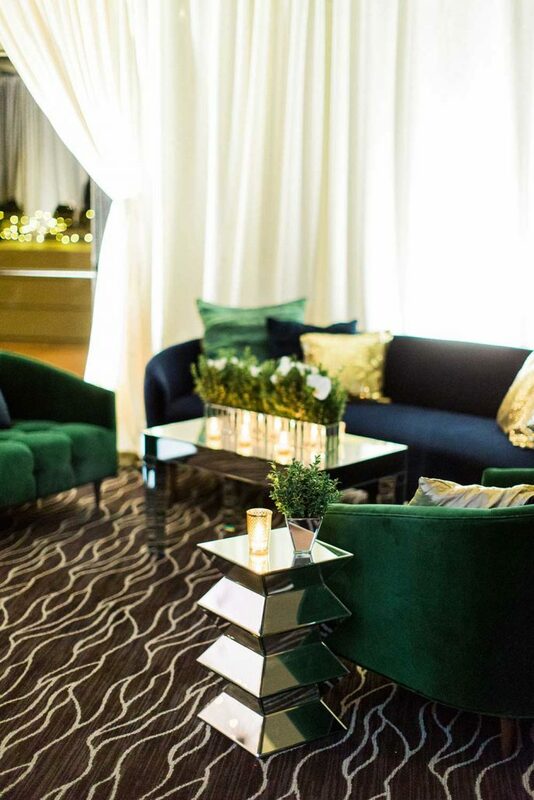 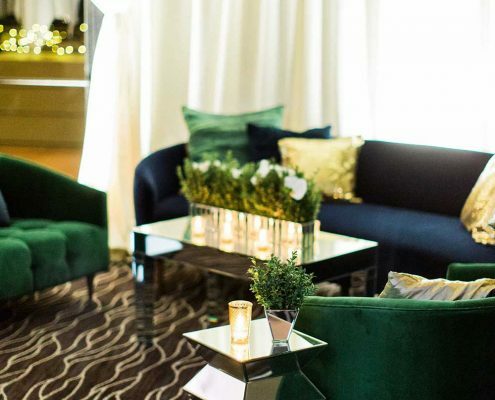 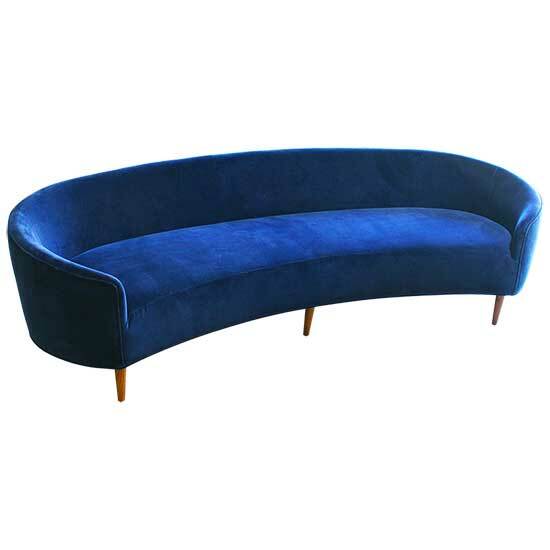 Royal blue and green of rich velvet stand out through the use of linens and lounges. 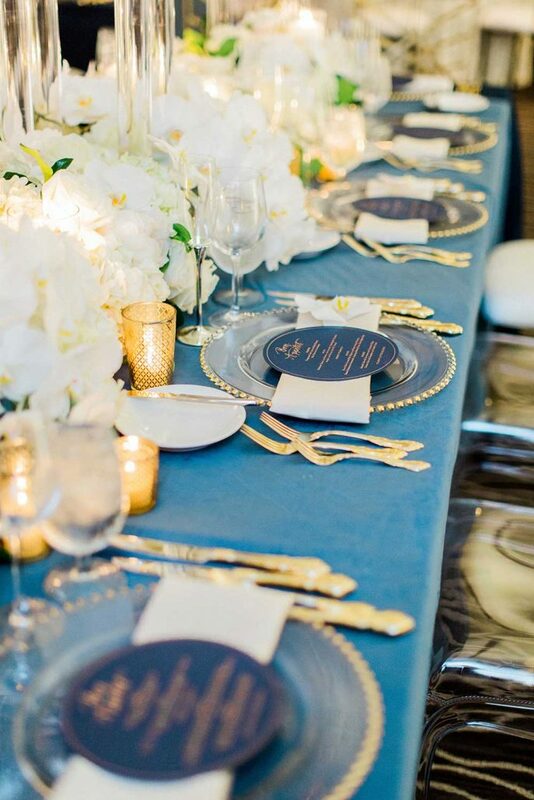 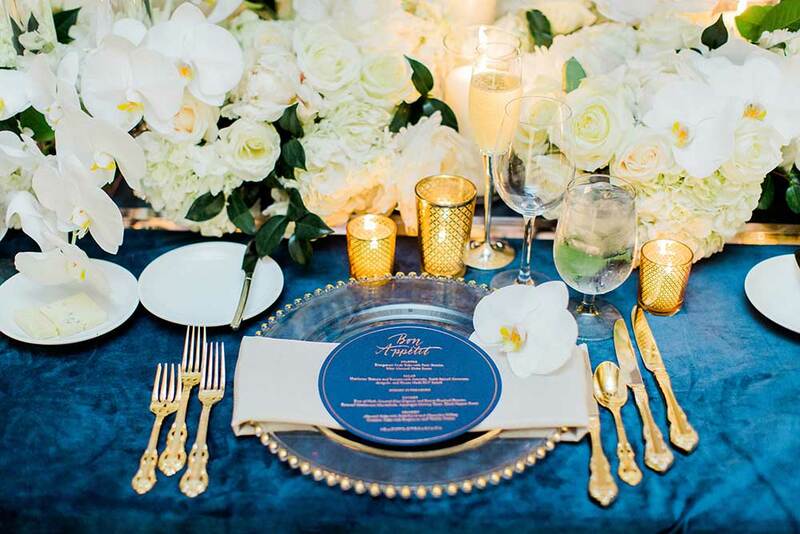 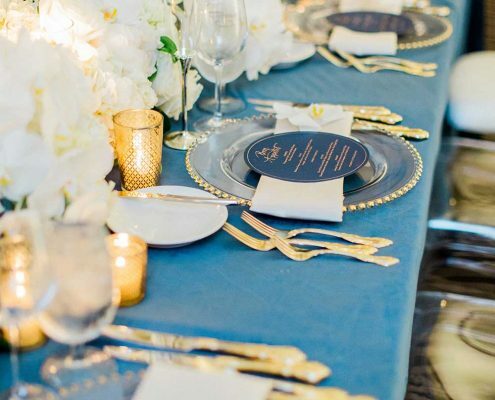 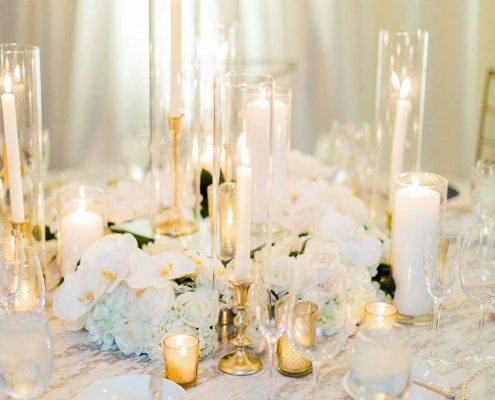 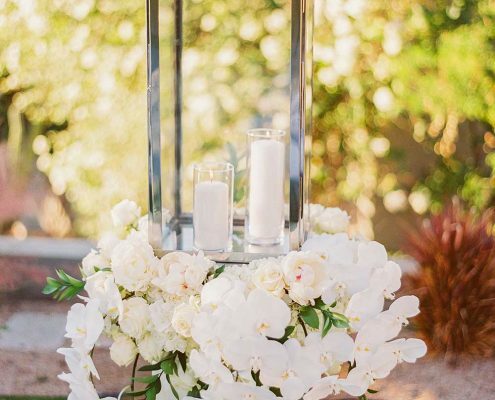 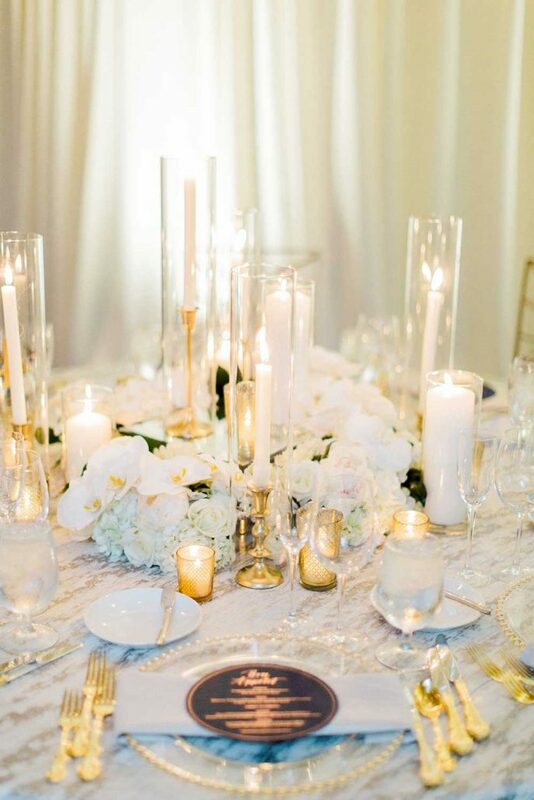 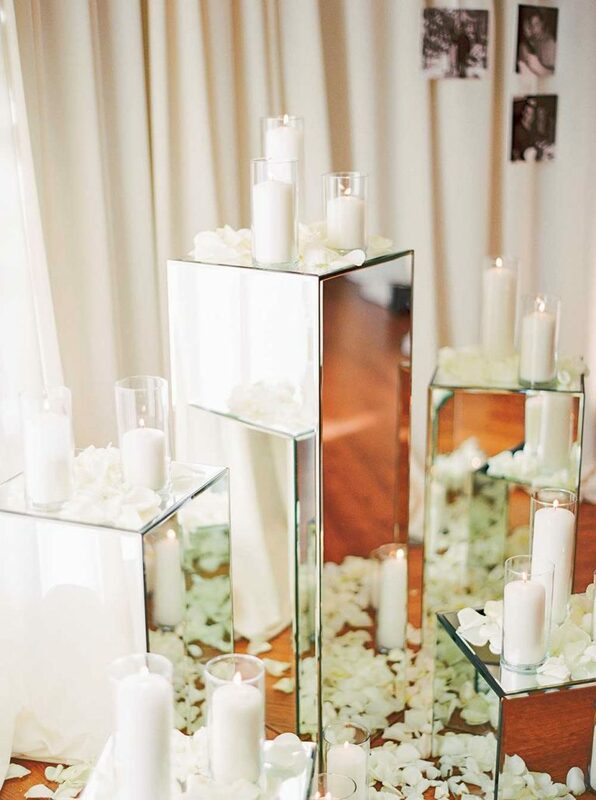 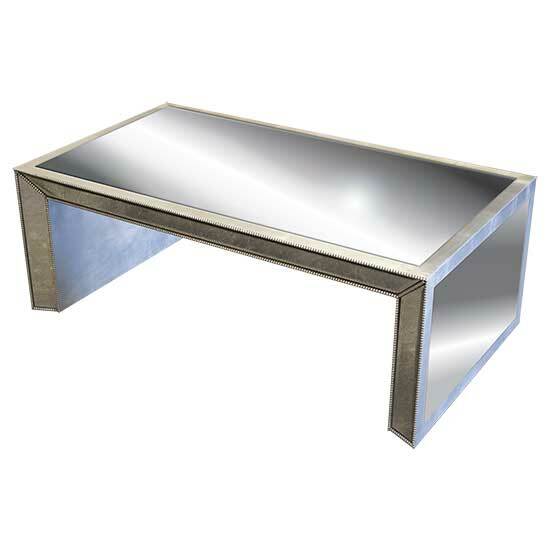 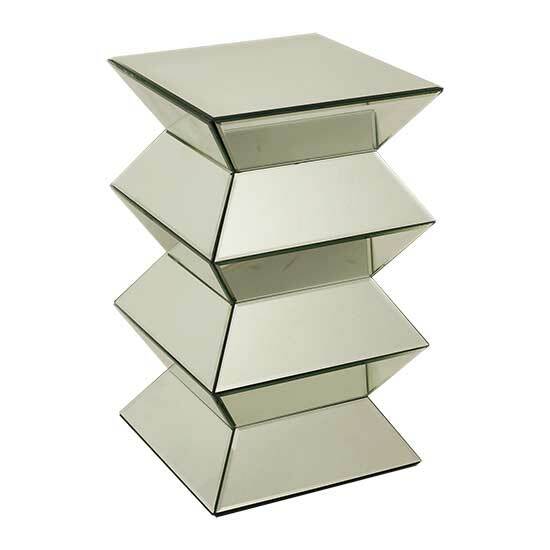 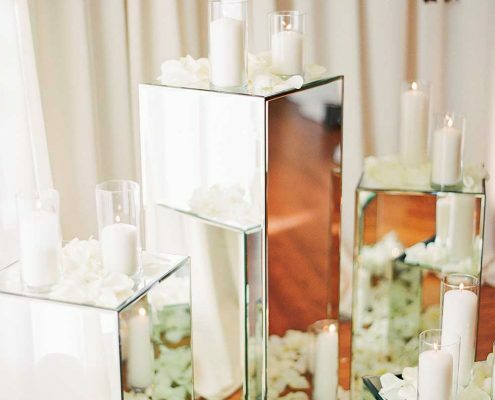 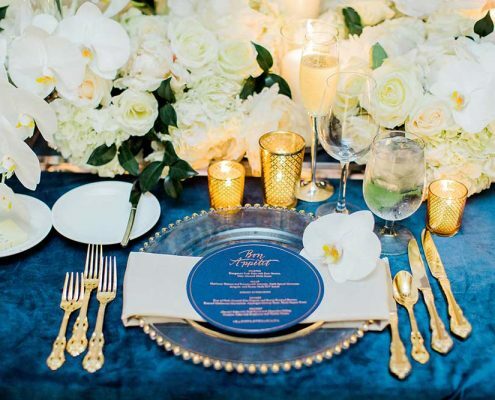 Table designs shimmer with gold flatware, gold rimmed chargers and gold lattice votive candles. 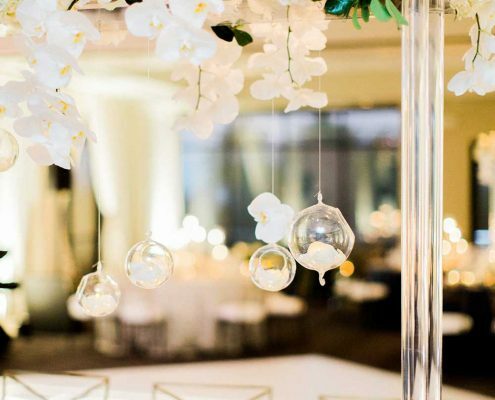 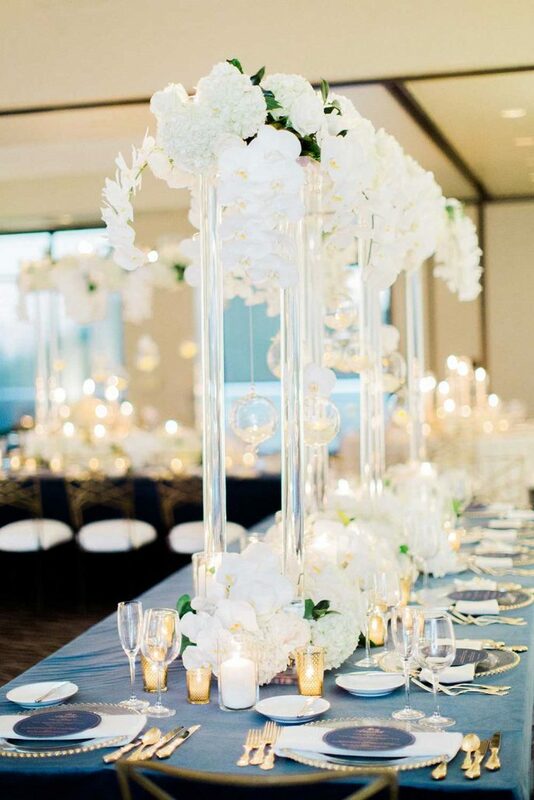 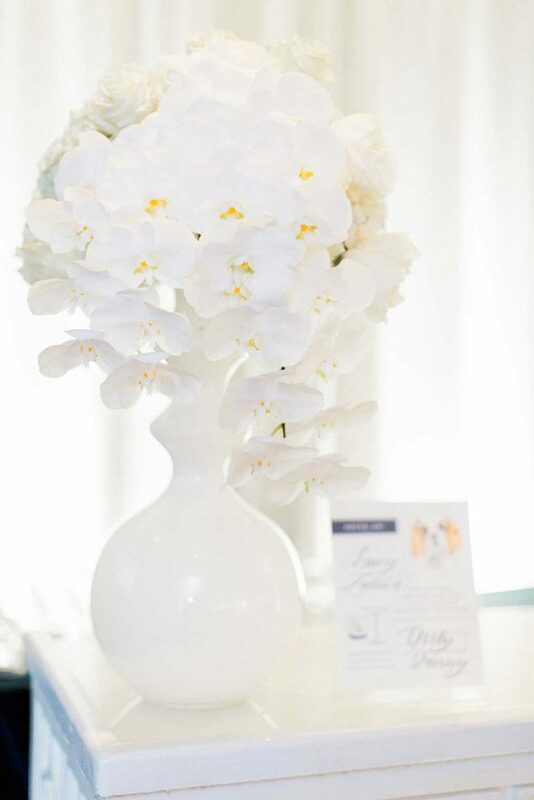 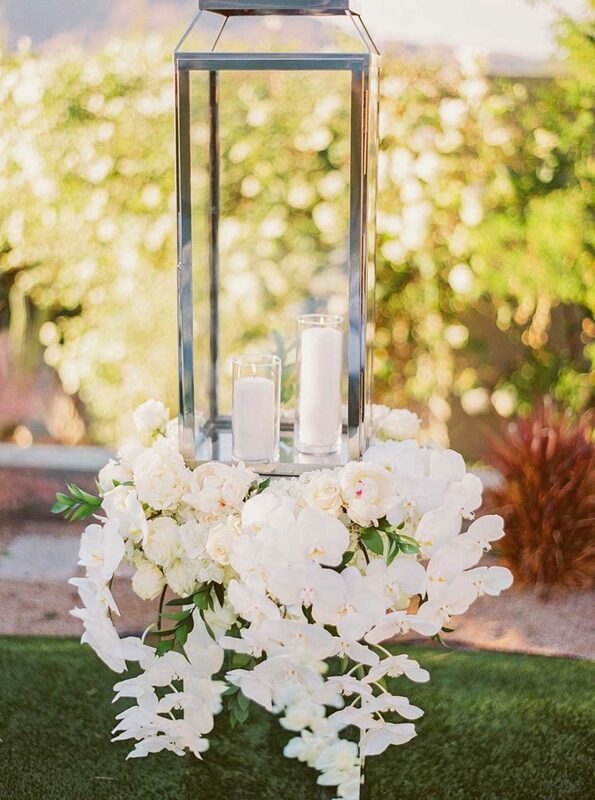 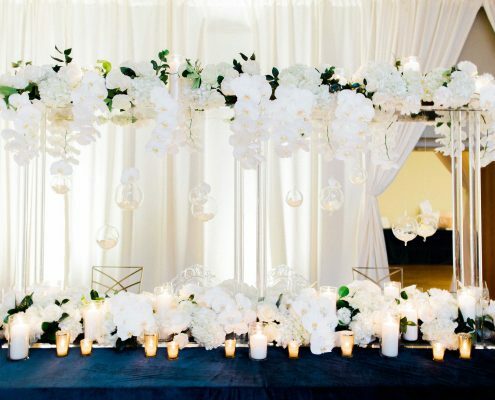 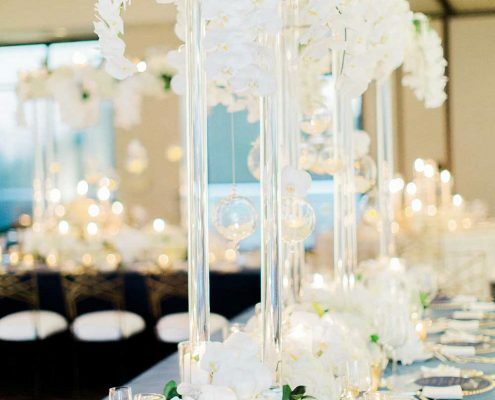 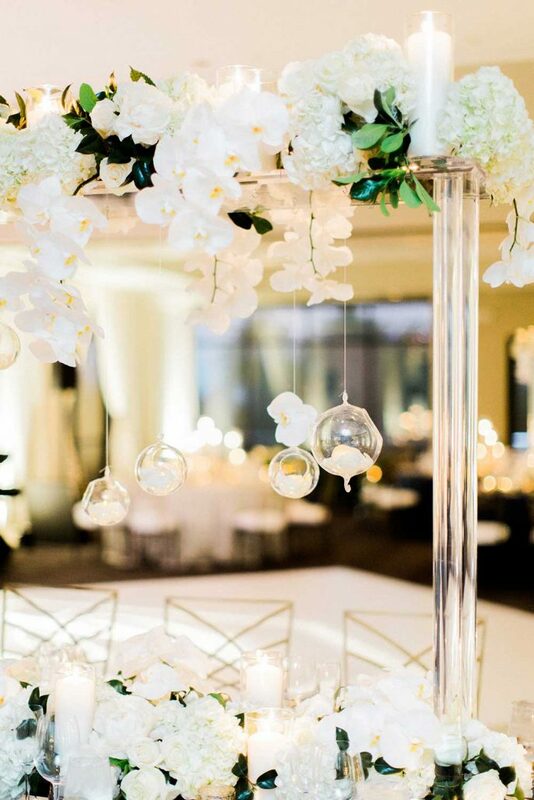 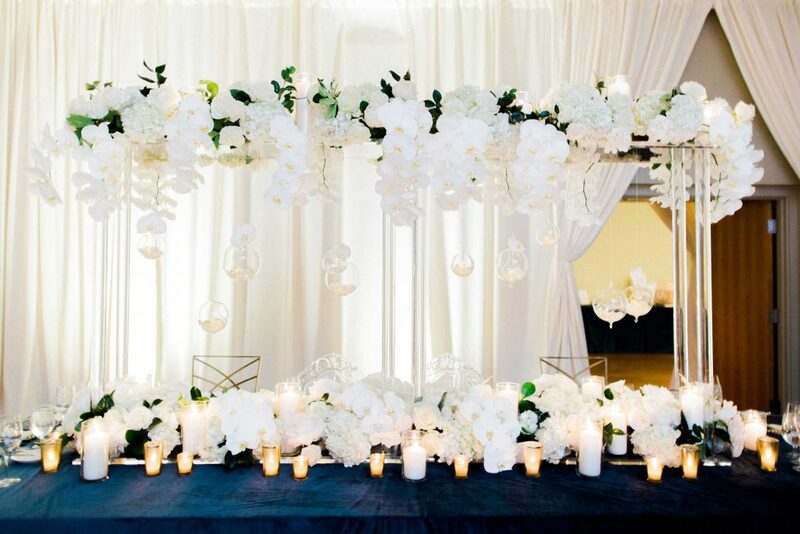 Four-foot-tall acrylic stands with lush floral garlands embellish the rectangle tables, while low lush compositions grace the round tables.